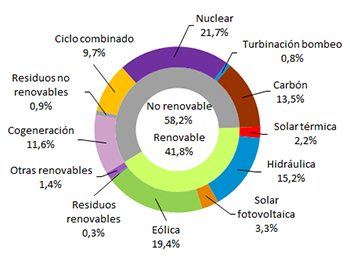 Renewable energies generated 41.8% of electricity from January to September in Spain: wind energy 19.4%, concentrated solar power thermal 2.2% and photovoltaic 3.3%. The peninsular demand for electricity in September is estimated at 20,821 GWh, 3.4% higher than that registered in the same month of the previous year. Even taking into account the effects of the calendar and temperatures, the peninsular demand for electric power maintains its growth by 3.4% compared to September 2017. In the first nine months of 2018, the peninsular demand for electric power is estimated at 191,279 GWh, 1% more than in 2017. 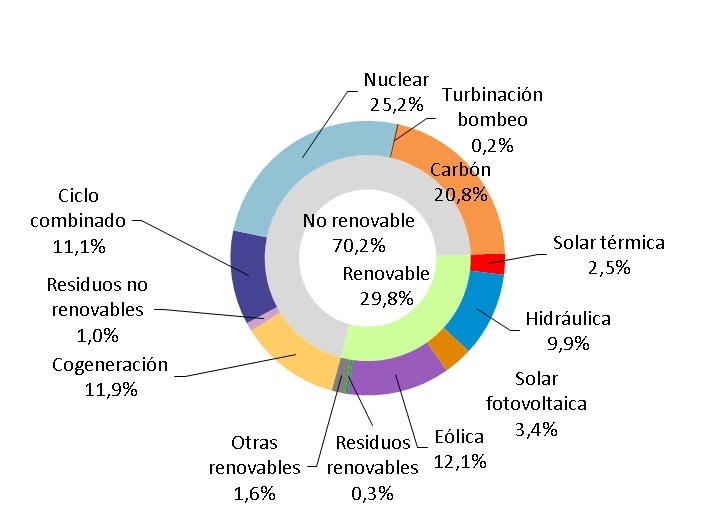 Once the influence of the calendar and temperatures has been corrected, the demand for electrical energy is 1.2 % higher than that registered in the same period of the previous year. With information available today, wind production in September reached 2,396 GWh, 15% less than in the same period last year, and accounts for 12.1% of total production. 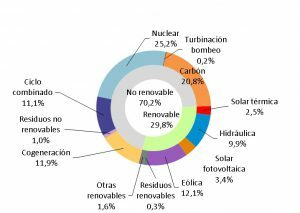 In the month of September and according to estimated data, generation from renewable energy sources represents 29.8% of production. 55.2% of electricity production this month comes from technologies that do not emit CO2.